B.J. 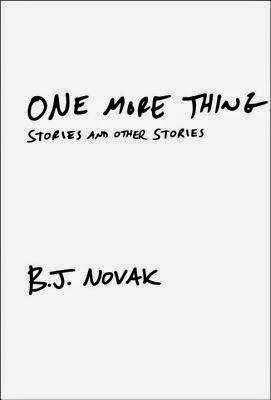 Novak's One More Thing: Stories and Other Stories is an endlessly entertaining, surprisingly sensitive, and startlingly original debut collection that signals the arrival of a welcome new voice in American fiction. Across a dazzling range of subjects, themes, tones, and narrative voices, Novak's assured prose and expansive imagination introduce readers to people, places, and premises that are hilarious, insightful, provocative, and moving-often at the same time. 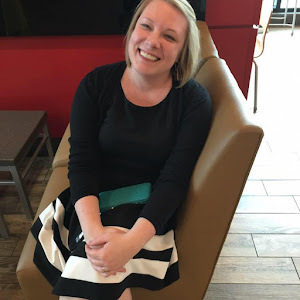 Since these are supposed to be humorous short stories and vignettes, I'm reviewing the writing and entertainment value together, as I typically do for humorous books or essay collections. Unfortunately, this was a flop for me. I found a few of the stories ("Julie and the Warlord") to be entertaining and original, but for the most part I was bored. I kept thinking surely the next story would be better, but it just never got there. I don't think I laughed out loud at any of the stories, and most of them were less than entertaining. I've heard from others that this is a great collection to listen to, so maybe on audio, hearing Novak's voice and the voices of the various celebrities who join him in the reading, I would have enjoyed the stories more. As it was they just fell flat. As one of my fellow book club members pointed out, they felt like the ideas for stories, but not like completed products. My personal opinion is that it isn't worth the time.